Leave the world behind when you stay in the snow at Mt Buller. Enzian Hotel provides a true Australian Alpine experience welcoming boarders, skiers, snowplayers and their families with genuine warmth and friendliness. Located just meters from Chamois run, the Canyon trail and a short walk to the heart of Mt Buller’s village centre. We offer comfortable accommodation at reasonable prices. Our very popular restaurant can enhance the whole snow experience. We offer exceptional food prepared by our Chef Riki and his team, an extensive wine list, friendly service and great ambiance. The hotel is owned and operated by long time locals who care about their guests and their Mt Buller experience. Arlberg is totally ski-in ski-out and features a bar, sports bar and restaurant over looking Bourke Street Ski Run. Enjoy pool tables, sitting area, bar area for casual drinks with friends and a kids area with games and videos or go up to the amazing roof deck for those blue bird days. Enjoy accommodation from motel style rooms, rooms with kitchens and 1, 2 and 3 bedroom self contained apartments, we also have a ski, snowboard & clothing hire, boutique, coffee shop, pizzeria, making it perfect for your snow holiday. Award winning boutique hotel centrally located in a ski-in, ski-out position 50m from the Mercedes-Benz Chairlift and 100m from the Ski School. Hotel Pension Grimus is the ideal choice for a ski holiday with warm alpine ambience, European-style hospitality & personal attention. Delightfully decorated chalet-style hotel rooms & luxuriously appointed apartments. Also featuring Kaptan’s Restaurant renowned for outstanding cuisine and a favourite of Mt Buller regulars, the intimate Herbies Bar, and the hole in the wall Grimus Grind Takeaway for coffees, toasties and treats. Hire on mountain at the Grimus Ski Centre for hassle free convenience & competitive rates. Coonamar is a traditional ski club offering comfortable and affordable accommodation. Our rates include cooked dinner and breakfast. Resident manager, shared bathroom, facilities, linen, games room and lounge, fire, drying room and north facing balcony. School groups welcome. A Mt Buller icon, the ABOM is located in one of Mt Buller's very best ski-in, ski-out locations. 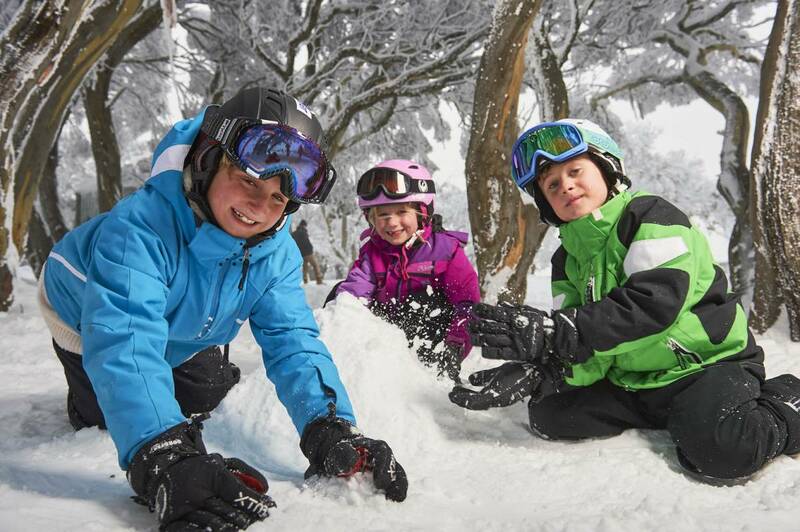 You'll love the warm alpine welcome, the short walk to the world-class Mt Buller Ski & Snowboard School, flexible accommodation options and all the extra in-house facilities to make your stay special. A selection of self-contained apartments ranging from 1-5 bedrooms. Choose from luxury penthouse suites to budget family apartments. 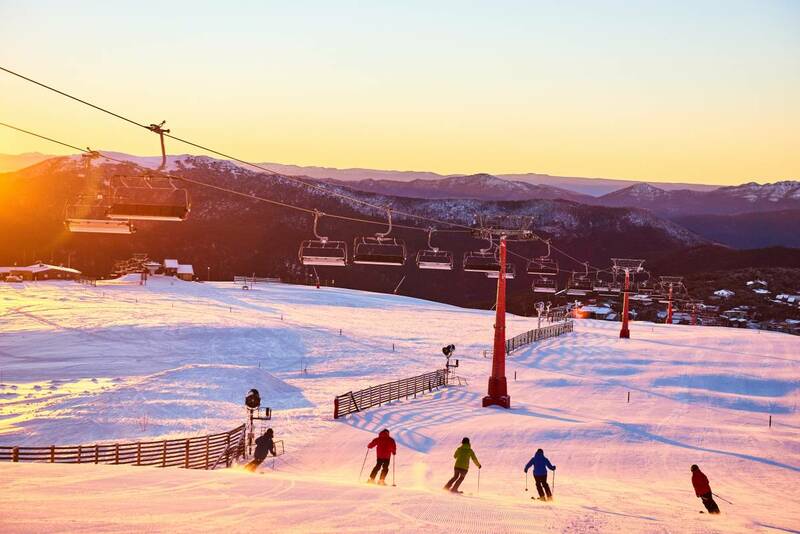 The properties are in various locations in the heart of the Mt Buller Village and offer excellent ski-in, ski-out convenience and all you need for a wonderful snow holiday. Comfortable one or two bedroom apartments. With prices starting from just $230 night you will need to get in quick to secure a reservation! Kandahar Lodge is a family friendly, traditional lodge style with self-catering accommodation. It's features include: open fireplace, complimentary Wi-Fi, lounge area, drying room, large share kitchen in a ski-in, ski-out location. The highest residential properties on Mt Buller, Whitehorse Village sets the standard in luxury alpine living with spacious living areas, kitchen, laundry and gas fireplace. Located right on Bourke Street with direct ski-in, ski-out access to a private terrace. Just 300m to Bourke Street lifts and Ski School, this intimate, member-run lodge provides low cost, self-catering accommodation in 4 & 6 person bunk rooms with shared recently renovated bathrooms. Enjoy the ease of ski-in, ski-out in this friendly lodge. A favorite with couples and families, the Ski Club of Victoria provides great value hospitality for members and the general public. Ivor Whittaker Lodge (passionately known as ‘the Whitt’) provides comfortable hotel style accomodation, conveniently located next to the main Bourke Street ski run. Mt Buller Chalet Hotel is the place to stay for the ultimate experience at Mt Buller. It is one of Australia’s finest alpine hotels, and sits in the heart of the Mt Buller Village. With a ski run to the front door and every comfort to make your stay unforgettable. Book your holiday with confidence thanks to our Snow Guarantee.